5:00pm Vespers with the taking out of the Winding Sheet (Shroud) of Christ. Matins with procession. 9:00am Hours, Liturgy of St. Basil with Vespers. 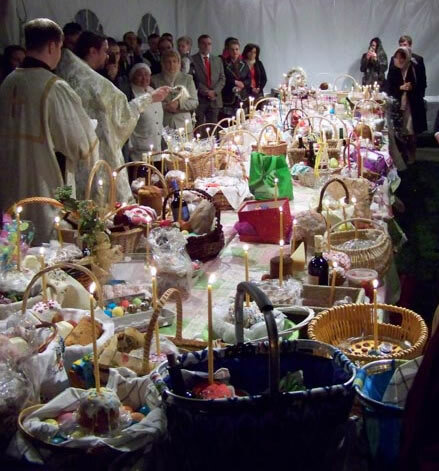 9:00pm Blessing of baskets at 9p, 9:15p, 9:30p. 10:00pm Reading of the Acts of the Apostles. 11:20pm Midnight Office with the removal of the Shroud. 12:00am Midnight. Procession with Matins, Divine Liturgy. Blessing of baskets. 9:00am Hours & Divine Liturgy. Panikhida at church. 1:30pm Blessing of graves at Gethsemane Cemetery. The official parish Facebook page, Holy Epiphany Russian Orthodox Church will have announcements, schedules, news, pictures and videos, which will be posted regularly. Parishioners and friends can join the "Parishioners of Holy Epiphany Church (Boston)" to share personal photos, relevant articles, and other informative posts that would be of interest to fellow parishioners. Welcome to the web site of Holy Epiphany Russian Orthodox Church in Boston, Massachusetts! We are a parish of the Diocese of Eastern America and New York of The Russian Orthodox Church Outside of Russia. We invite you to explore our web site to learn more about us and about Orthodox Christianity. The schedule for the next 2 months has been posted to the website. Please note that on April 24, Holy Wednesday, confession starts at 5:30 p.m.
April 27, Holy Saturday 1:30p.m., 9:00 p.m., 9:15 p.m. and 9:30 p.m. Blessing of baskets. April 28, Midnight Matins and Divine Liturgy. After the services, blessing of baskets. The book store has many books in English & Russian. It also has a large assortment of Faberge-style Easter-egg pendants from St. Petersburg. Thestore is generally open after Sunday Liturgies as well as prior to the Midnight Easter service. Traditionally, after Liturgy, children carry the icons in the procession around the church. Fr. Victor reminds parents that instead of sending your children to school on Monday, it would be better to bring them to church for the Divine Liturgy. If anyone needs a note from the priest confirming that this is a religious holiday, Fr. Victor will provide one. Thanks to your generous contributions, we were able to renovate and expand our beautiful church! Please, continue to help us pay down our church expansion debt. Thank you for your continuous support! Any help is much appreciated! The Orthodox Garden and Holy Resurrection Chapel are located at The Gardens Cemetery, in West Roxbury. Several 9-day, 40-day and 1-year memorial services have been conducted within the Holy Resurrection Chapel. Click on either image to browse the 2-page brochure. 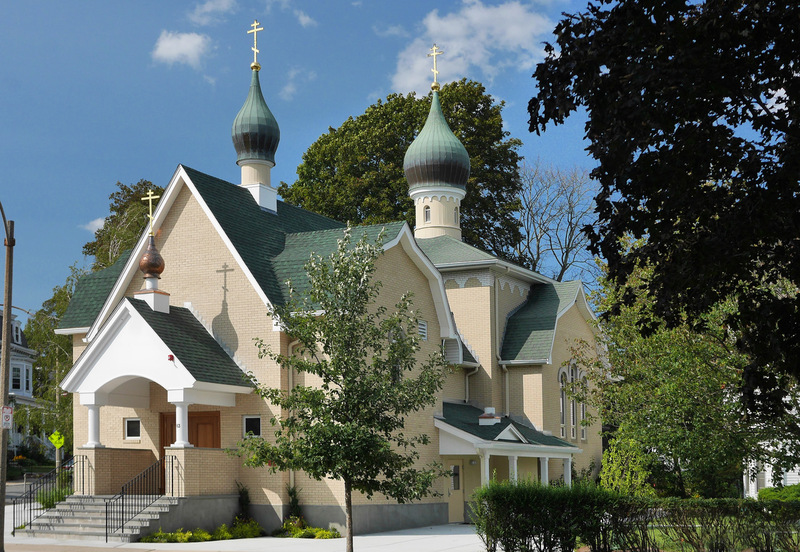 The Gardens Cemetery is proud to support the expansion of the Holy Epiphany Russian Orthodox Church.